See Amy or Sherb to help out in the snack bar! We have dates set for April 1st at 6:30pm and April 3rd at 5:15pm at AC North in Plattsburgh. There will be a $20 fee to pay for the Ice. Please email me or text me at 518-726-6210 letting me know that your Athlete will be there so I can have the right amount of jerseys. Thanks again and Go Maiden’s!!! This will be a NYSAHA Tournament Bound Tier 2 Girls 12U team which means girls CAN NOT be rostered on another tournament bound team. Please go add your story about the rink. We should have hundreds of entries if everyone would go vote! That's it! Follow these steps and you will be good for the 2018-2019 season! If you have multiple skaters you can only pay the full amount online, the discount will be refunded. Please communicate with your coaches for changes or questions on which night your child is practicing. Remember if you shop at Amazon, start at smile.amazon.com and a percent of your purchase will be donated to Chazy Youth Hockey. 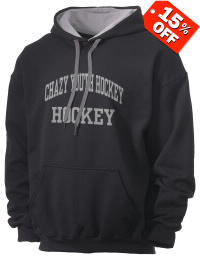 You must select Chazy Youth Hockey as your preferred charity. The Chazy Youth Hockey Board of Directors has set up a Youth Hockey Committee to better deal with the day to day interactions of the players, parents and coaches. The goal is for this Committee to be more readily available to handle any questions or concerns for all the CYH members. The committee is composed of representatives from all the levels to make sure all voices are heard. If you have any concerns regarding scheduling, coaches, games, practices, tournaments etc you should contact a committee member. If you would like to make a donation, renew your sign or pay for a new one you can do so below. Before you renew your current magazine subscriptions thnk about doing through the CYH website. 40% of the renewal price goes back to CYH!